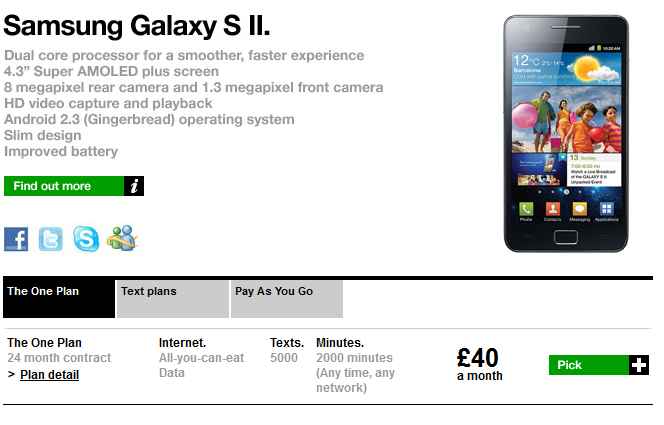 UK mobile carrier Three just announced that one of the most anticipated handsets of the year, the dual-core Galaxy S II, is now available for purchase. 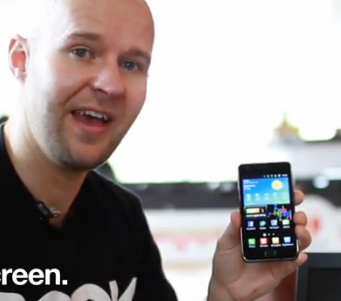 The Galaxy S II is one of the speediest and slimmest Android handsets on the Market today with a dual-core 1.2GHz processor, measuring only 8.5mm thick and shipping with Android 2.3 "Gingerbread." It comes with a beautiful 4.3" Super AMOLED Plus display and sports 2 cameras: 8MP 1080P HD in the back and 2MP in the front. You can pick up the handset starting today at your local Three store or online later on in the day - Three is still working on putting up the S II landing page onto its website. Update: the page is now live here. In the meantime, feel free to watch this video of Brandon, Three's official mobile face, introducing the phone and running down some of its features.